It is with extreme sorrow and pain that the family announces the sudden death of a husband, father, grandfather and brother on July 11, 2018. Born in Poland on January 15, 1945, he emmigrated to Fort William, Ontario with his parents and sister to begin his new life of education, work, friendships and family. John worked hard all his life; if not building homes and camp for his family he was always ready to lend a helping hand to anyone in need. In his younger years, John was a talented and exceptional soccer player. 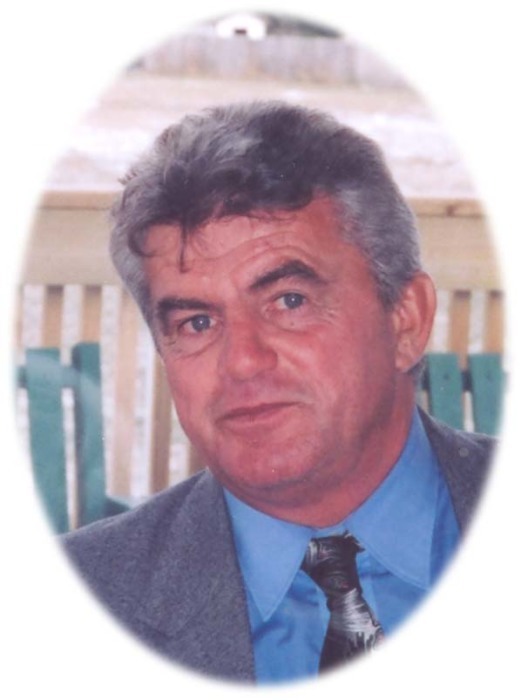 He was instrumental in organizing and developing the soccer leagues in Thunder Bay. He led Polonia to many victories. He worked at the Abitibi Mission Mill for most of his working years as a papermaker, then supervisor with an opportunity to retire at an early age. John felt a strong tie to his Polish roots by participating and supporting the Polish community in many roles. During his entire life John had a strong love of raising and racing homing pigeons. He organized and was involved in the Thunder Bay Racing Pigeon Club. This hobby was quickly overshadowed by his devoted love of his five grandchildren. Family was everything to him. Overall, “He was good people.” He will be lovingly remembered and missed by his wife Henia of 50 years, daughter Donna (Andrew) Kane, grandchildren Megan and Jonny; Barbara Grosjean, grandchildren Kaylee, Grace, Thomas; and the ever supporting sister Sophie. He was predeceased by his parents Mary and Walter Motyka as well as aunts, uncles and other relatives in Thunder Bay and Poland. Funeral Mass will be held at St. Casimir’s Church (McKenzie St.) on Monday, July 16, 2018 at 11:00 am celebrated by Rev. Krystian Sokal. Visitation will take place one hour prior to Mass. In Lieu of flowers, memorial donations to the Cardiac Unit TBRHSC would be greatly appreciated. John Motyka will be remembered in the Blake Funeral Chapel Memorial Grove. Annual dedication service Sunday, June 9, 2019.